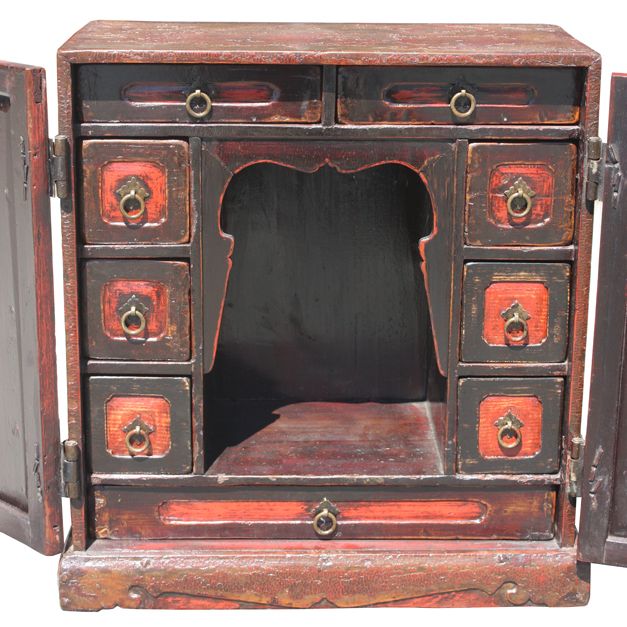 Small 17th century carrying style storage chest with original thick and textured red lacquer. There are 9 drawers inside with an empty space in the center. 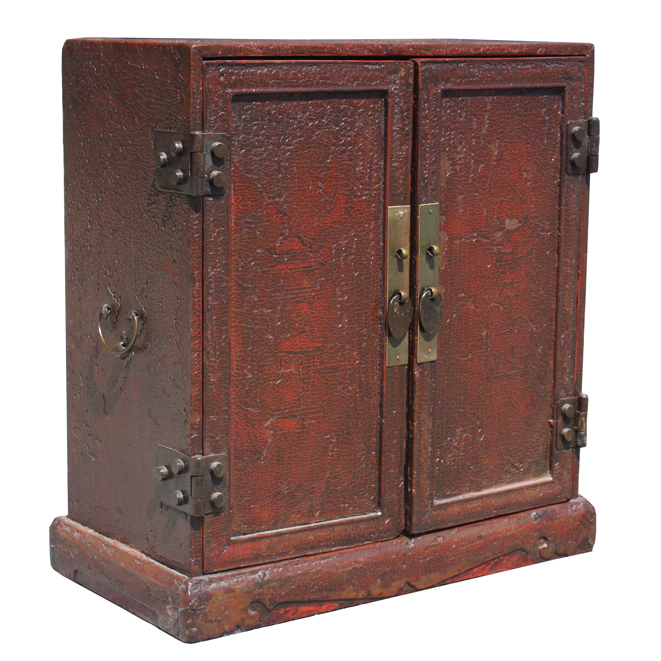 This unique chest with the two carrying side handles certainly makes a beauitful presentation for your stored treasures. Replacement in the fitting and repairs on the lacquer. French Polish finish over the original red lacquer.